Dean Boyd | What Causes Commercial Truck Accidents? The trucking industry is still the main source of transporting goods all across the United States. Government transportation officials estimate that over 15 million trucks travel on our country’s roads, transporting nearly 70 percent of all freight each year. With such a high volume of commercial vehicles on the road, traffic accidents are bound to happen. The statistics show a 20 percent increase in truck accidents over the past decade. These numbers persist even with federal and state government agencies placing tougher safety regulations on the trucking industry. The following will discuss how to find the cause of truck accidents, some common causes, and some causes that can be difficult to prove. An accident between a commercial vehicle and another vehicle often has catastrophic results. One of the important questions that will need to be answered is what caused the truck accident. Unlike multiple passenger vehicle accidents, truck accidents are less clear on providing evidence about what happened prior to the crash. In some cases, several factors need to be taken into consideration before a cause can be found. Remember, a party can only be held responsible if they are correctly identified and their actions verified. There is usually not a single determining factor in what causes truck accidents, but a combination of circumstances. Some of the most common causes of truck accidents include adverse weather conditions, inadequate maintenance of the vehicle, and defective mechanical parts. Unfortunately, adverse weather conditions cannot be controlled, but weather is still thought of as a leading cause. There is a higher probability that a malfunction of a mechanical part could be the leading cause of truck accidents. The industry’s own rules and regulations try to ensure that adequate testing and required maintenance does take place on vehicles that are regularly in use. This measure is meant to prevent future truck accidents from happening. Other causes are difficult to prove and include driver negligence, fatigued driving, and a company’s failure to dismiss a driver with a reported drug or alcohol problem. Driver negligence includes failure to recognize blind spots, failure to maintain proper distance, and being distracted while driving. About 13 percent of all commercial truck accidents are caused by driver fatigue. Recent changes in regulation have restricted the number of hours a trucker can drive in a given week. The hope is to reduce the number of truck accidents caused by driver fatigue. However, statistical data shows more truck accidents are occurring from this decision. Truck drivers are held to a high standard and are prohibited from drinking on the job. The sad reality is that some drivers abuse drugs and alcohol because of the job’s demands to meet tight deadlines. Illegal drugs may not be the only choice. Some prescription drugs have been found in the blood system of truckers involved in 18 percent of truck accidents. Federal law requires all truck drivers must submit to random drug testing, but the industry is not administering enough tests to satisfy requirements. Also, many truckers can easily cheat or submit a tainted specimen on their required testing day, resulting in inaccurate testing reports. 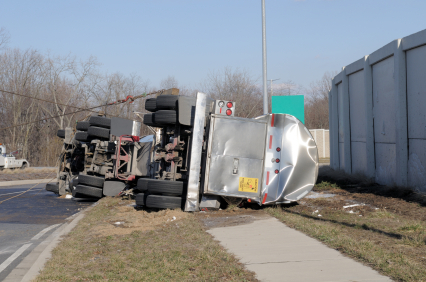 If you have been injured in a commercial truck accident, it is important that you fully understand your legal rights. Depending on the outcome of the insurance claim, you may be entitled to compensation for the injuries you have suffered. Hiring a personal injury attorney who has experience in handling truck accident disputes can be crucial to the outcome of your case. For more information on how to get assistance for your claim, contact Attorney Dean Boyd today. If you would like to learn more about our services, Contact Us via email or call us at (806) 242-3333. You can also come by our office at 4423 SW 45th Ave in Amarillo, Texas or 5012 50th St #103 in Lubbock, Texas.